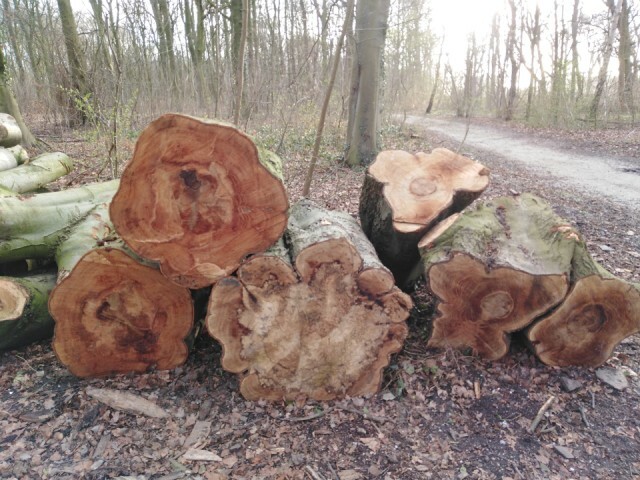 Lots of trees in the forest have been cut down, apparently due to disease. They've planted a lot of new saplings but I can't help thinking these older ones are still beautiful, it seems such a shame. What great patterns and colours in the wood.